1) If you are a small business, finding the time to get online can sometimes be difficult. 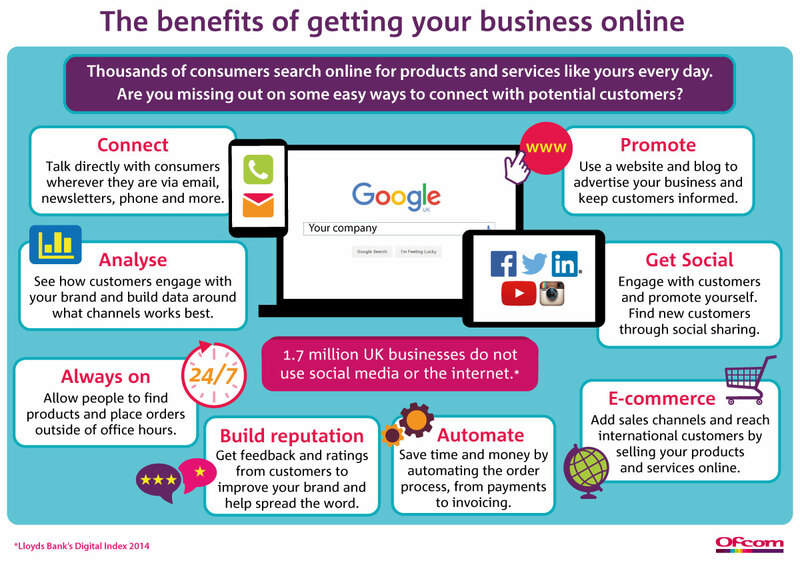 However, as our graphic below shows, doing so can bring many benefits to your business. 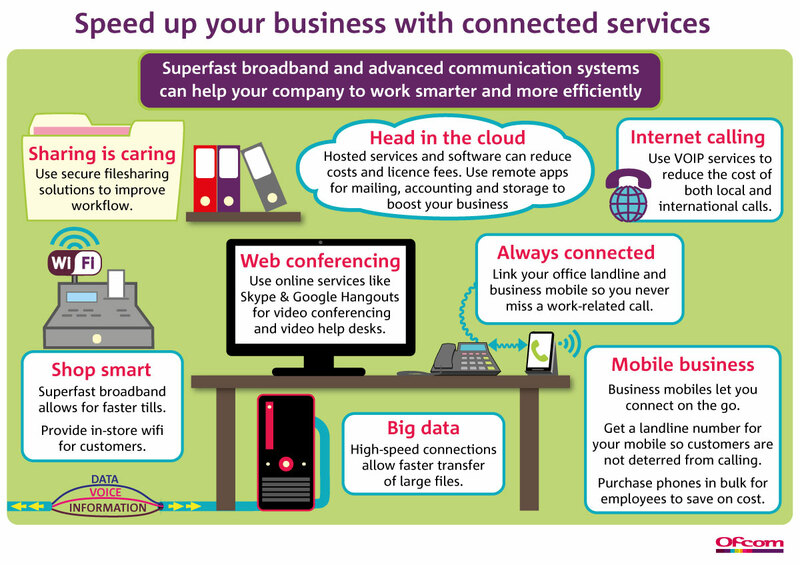 2) Many businesses already have connections in place for conducting business, but have you thought about other technologies and services you could incorporate into your daily operations? We've given you some ideas to think about below. 3) Businesses with more complex requirements need to plan and procure their communications products carefully. 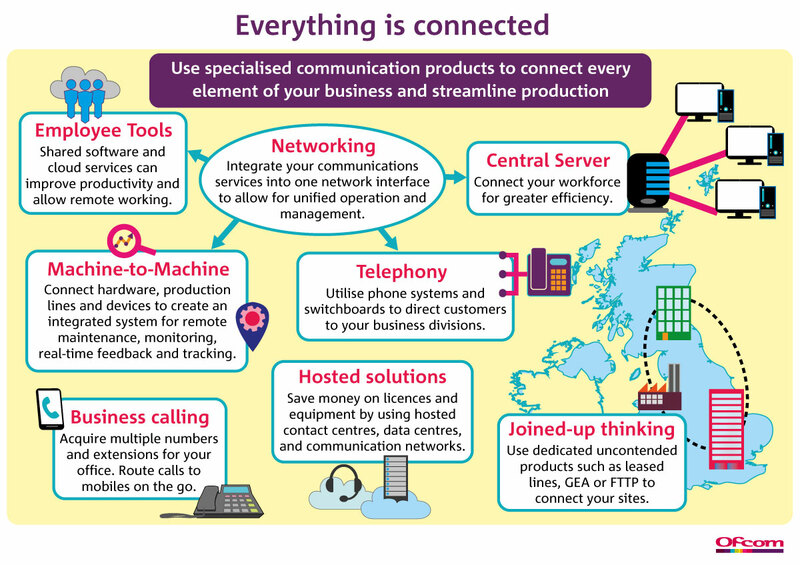 There are a wide array of products and technologies available to create a unified business operation, and our graphic helps to outline these options.